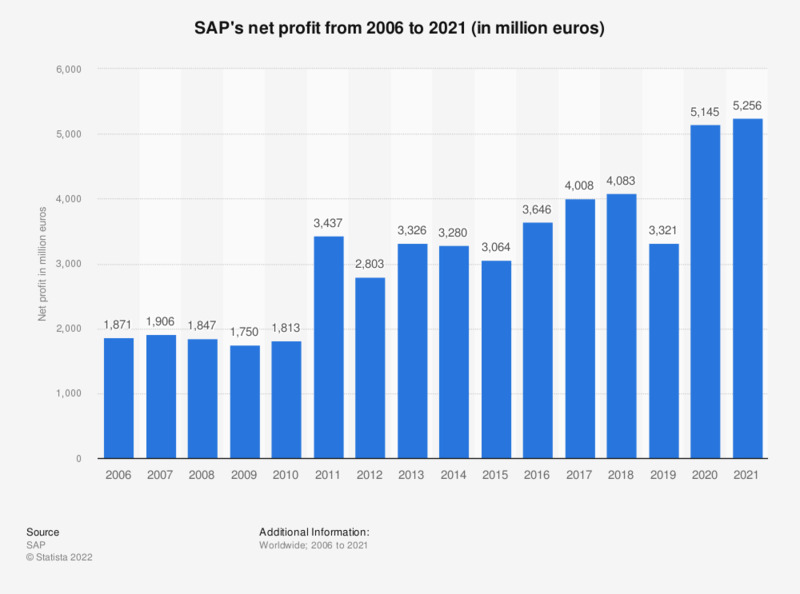 This statistic shows the net profit generated by software company SAP from 2006 to 2018. In 2018, the profit attributable to the SAP parent company came to approximately 4.1 billion euros. That same year, SAP generated 24.71 billion euros in revenue worldwide.